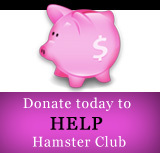 Hamster Club :: Should I bath my hamster? Should I bath my hamster? One of the most common questions I receive is: “Should I bath my hamster?” The answer is NO. A hamster should never be bathed since hamsters keep themselves clean. If you bath a hamster, it would catch a cold and die. 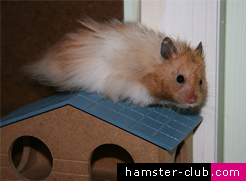 Hamsters produce their own natural oils to maintain the condition of their fur and will spend a long time grooming. So I would not recommend bathing a hamster since it will not enjoy it and bathing may make the hamster's fur look worse. If your hamster smells bad, then you should clean the cage more frequently. 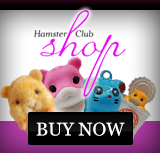 On the other hand, you may provide your hamster with a Hamster Sand Bath. Most dwarf hamsters love rolling in the sand bath and this will also keep the hamster's coat shiny! Click here to read more about Hamster Sand Bath and what you need to provide your hamster with a perfect Hamster Sand Bath. HAMSTER BATHS IN CASE OF OLD HAMSTERS. Some old hamsters may find it difficult to clean all parts of their body and you may start finding lots of loose or hard faeces stuck to the hamster's genital area. Only in such cases one can fill in a very shallow bowl (the bowl should be shallow so that the hamster does not drown) with lukewarm water (in winter) and cool water (in summer). Only bath the genital area (if that is the affected area) and gently wipe the wet area with a soft tissue or a piece of cotton wool.